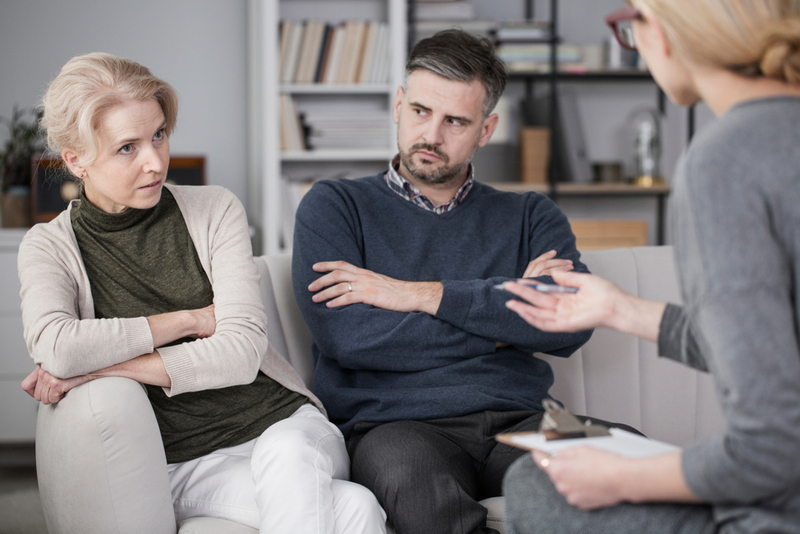 Many people considering mediation worry that they will not be safe because of their fear around their partner’s anger, or the way they express that anger. They worry that they will be attacked, blamed, hammered, humiliated, and belittled, as well as not seen and not heard. Many fear that they will not be able to protect themselves, to stand up for themselves, to find their voice in the face of their partner’s forcefulness and superior elocution, knowledge and intensity. Accordingly, many feel they have no choice but to pursue the litigation route where, for all its limitations, it at least has the benefit of offering a lawyer’s (and possibly a judge’s) protection. These concerns are very real and must be taken seriously. If not handled skillfully, the expression of anger can easily turn into personal attacks which are both hurtful and deleterious to the successful progress of the mediation. They can leave a party more wounded, more lost, more confused, than they were before the process started. Integrative Mediation provides multiple ways of addressing these concerns. One option is for the concerned party (or both parties) to bring their attorney with them to the mediation sessions. People tend to be more well-behaved and feel safer when they have their attorney with them, and when the other party also has an attorney present. Another option that works surprisingly well is to establish ground rules that address how difficult feelings are to be expressed, as well as what to do when those rules are broken. Yet another protective move is to break into separate sessions (or “caucuses”) until the attacking nature of the anger has subsided. In some cases where a party’s anger is truly out of control (especially if there has been domestic violence in the past) it may be necessary to terminate the mediation. But perhaps the best way to deal with anger is to transform it into a constructive form, and this is something at which Integrative Mediation excels. Because one of the co-mediators is an experienced mental health professional, there is always someone there who can immediately intervene and redirect the anger away from the other spouse and work with the party who is triggered. By containing the anger, not shying away from it, and hearing the pain that is underneath it, the mediators are able to help the angry party get to feel their true feelings (like hurt, bereavement, betrayal, and fear) that the anger is masking in an attempt to protect against what feels like potentially overwhelming hurt. Helping the parties to get to their emotional truth, and allowing the full expression and exploration of each party’s feelings, shines a light on the heart of the dispute, on its full meaning, and paves the way for breaking through impasse and reaching a meaningful and durable agreement.